Arnav Singh Raizada made another valiant attempt at concentrating on the newspaper open in front of him. Di had decided that breakfast at the poolside was the plan for the morning and for the last half hour he had been trying to ignore the constant excited conversations around him. He would have smoothly ignored it all, but a certain Khushi Kumari Gupta’s name kept popping into di’s, NK’s and sometimes even Akash’s sentences. And with that name in the air concentration never was easy, except if it was on the owner of the name. “What time is the haldi di?”, Akash asked piling his plate with the aaloo parathas that OP had just brought in. “Early evening… That reminds me.. you and chote..“, di’s voice had to trail off because ASR had spoken up from behind the newspaper. “par bhai..“, flustered, Akash looked for support towards di. No one could blame him at this reaction, after all he had been looking forward to attending his own haldi. That would bring him one ceremony closer to the actual wedding..
“par chote.. The haldi is for you both“, di tried to reason. “aap log khel lena di with your haldi. 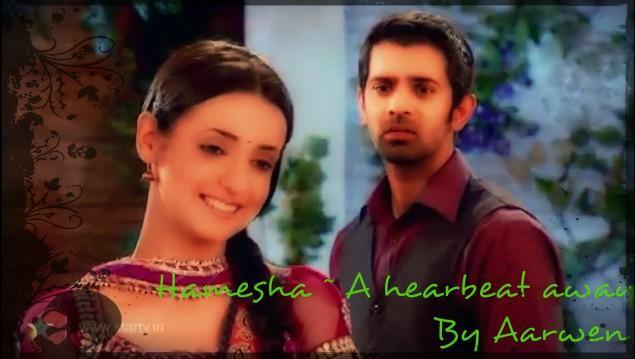 There is work waiting in the office and Akash you are coming with me, right?“, ASR said finally folding the paper. A few minutes of no mention of Khushi had enabled him to atleast quickly peruse through the business section. That would have to do for today, he thought reasonably. “ermm.. ha bhai“, nodded Akash. He got up with his plate full of parathas and morosely went to his room, most probably to get ready. “nannav mere bhai.. Kaam waam toh hota rahega.. Tum pehle shaadi kar re ho. Toh ceremonies attend kar lo and bechare Akash ko bhi attend karne do“. NK put a generous helping of butter on his hot paratha and watched with satisfaction as it melted. ASR decided to ignore NK. He stared moodily into space, his mind occupied with the meeting he had to attend in a few hours. “chote why aren’t you eating?“, Anjali asked gently. He would have replied, but NK beat him to it. “Nannav tum khaoge nai toh kaamchor ho jaoege”. “Kaamchor nai. Its kamzor“, he corrected NK through gritted teeth. “Ya thats what I mean.. Kaamchor kamzor.. Tum bina kaam ke rahoge nannav..“, seemingly oblivious to ASR’s impatient irritation, NK dug into his paratha. “He is right chote. Marriages are always exhausting, specially for the bride and groom. You should eat“. Then with a gleeful giggle she added, “Aise bhi you need extra strength, you have to carry Khushi bhabhi. Tumhe yaad hai na chote?tumhe unhe apni god mein utha kar grah pravesh karna hai“. “aap fikr mat kijiye di, nannav can easily pick Khushiji. He has all the practice needed“, NK placed another paratha on his plate unaware of the after effects of his declaration. “What the?“, ASR spluttered. What the hell was NK talking about now..
“nk bhai aap..“, Anjali couldn’t decide if she wanted to laugh or grimace. She wasn’t sure if she actually wanted to know how NK bhai knew that chote had practice in picking up Khushi bhabhi in his arms. It did make her happy to ponder on the remote possibility that her chote could be a romantic at heart. It did seem a highly remote possibility though. “nai nai naughty nannav‘, NK was enjoying the limelight now. Arms folded, his eyebrows raised, he cheekily surveyed ASR’s state of confusion. “NK knows everything. Sare tv channels mein dikhaya tha. she was in your arms. In Lukhnow..I even saw it online. You both looked scintillating together mere bhai“, he added with a flourish. ASR had been holding his breath. It was one of those rare times when he didn’t have a smooth comeback all ready. It turned out fine because di had taken over. “Chote“?, she asked speechless in amazement. “Is Khushi bhabhi that girl? sach mein?” “Why didn’t you tell me?“, she demanded, breaking into a wide thrilled smile. “di relax“. He didn’t know, but his lips had curved at the edges. He was smiling too, and his heart was doing a strange leapy thing of its own. He stilled as the thought took solid form. Love… he let the foreign sounding word congeal in his thoughts. It was not a startling revelation. He had been consumed by the feeling, it just got a name now. “chote I am so so happy. Wo larki Khushi bhabhi hai? Oh chote.. This has to be love. She fell right into your arms. You have to love her lots and lots.. Hamesha.. Pakka na?“. Di was looking up towards the sky a blissful expression on her face. With a distracted air ASR took two steps at a time yelling out for Om Prakash. He had let Akash know that he would meet him directly in office. Right now he had a sudden undeniable urge to go meet Khushi. He skidded to a stop seeing di hovering near. “Ha di?“, he immediately snapped to attention, seeing di’s anxious face. “wo chote.. Shyamji was asking me when we can start using our account again“, di asked with some hesitation. Shyam had walked into the living room at the same time. His eyes narrowing seeing the siblings together. ASR raised his voice and with his gaze boring into Shyam he answered his di, “di I can talk to him and arrange whatever is needed. Aap tension mat lijiye“. Di looked relieved that ASR had not flown into a rage. She had not approached any mention of Shyam in his presence since that night. He was not sure how would he have reacted if she had. She beckoned Shaymji. “Shyamji chote is still here. aap usi se puch lijiye. I will go see the preparations for haldi“. ASR waited for di to leave the living room, then he set his eyes on Shyam. “So Shyam… You are not going to get another penny from my di. You lost that right the day you decided to betray her“. His voice was controlled, but had an unmistakable dangerous edge to it. ASR meant business. “I let you remain in this house sirf di ke khatir. Don’t forget that. And if you give her even a single reason to be sad you are going to regret it for all of your sorry life“. Men like Shyam disgusted ASR. Vermin who did not have the guts to admit the truth. Shyam would rather grovel and wriggle his way out of the situation than face it head on. There was nothing more that angered ASR. Except the fact that he had missed this side of the man for three whole damn years. “saale saab hum Khushiji ko“, Shyam was thrown off balance as ASR made a sudden movement towards him. “apni gandi zaban se don’t you dare take Khushi’s name“, he snarled at Shyam, and would have gone further if nani had not walked in right then. ASR turned abruptly and headed out. 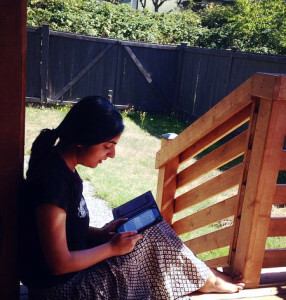 There was something in Shyam’s words that had been out of place. ASR needed to find out more. “babuji aapko thand toh nai lag rahi hai na?“, Khushi tried to wrap the gray shawl tightly around her babuji. She had brought him for a walk. She loved him dearly. She wished fervently she could get him back his sweet shop in Lucknow. She would one day, she thought fiercely. Afraid that he would get worried seeing her upset, she blinked back tears hastily . He must already have much to worry about, she did not want to add to his tension. He might be bored since she was quiet today. Even then she was finding it hard to continue talking. She felt troubled. Maybe she should call Arnavji and check if everything was okay. “tu bhi na Khushi. Why would anything be wrong?“, she hit herself lightly on her forehead. She had only taken a few steps when she halted. A familiar flutter of the heart told her he was somewhere close. She waited. Finally, she saw him walk upto them. Arnavji nodded towards babuji, then looked at Khushi. “mujhe Khushi se kuch baat karni hai“, his tone was respectful as he addressed babuji. He hadn’t looked at her yet, and she felt vaguely worried when he walked with a little further away from babuji. Why was he so serious? “Shyam said buaji liked him and Garima aunty also liked him, but he didn’t mention your dad. Khushi.. tell me.. did your babuji like Shyam?”, came his abrupt question. 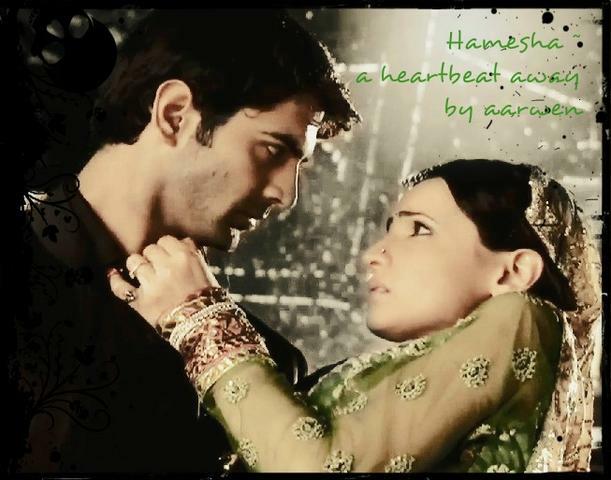 Her question fell to deaf ears because ASR was already striding towards his car. Was Arnavji mad? Maybe this was a match made in heaven like buaji said! Hai na devi maiyya? Agar hum sanaka devi ho sakte hai toh achcha hi hai hum ek bilkul pagal insaan se shadi kar re hai. “Now you can go and get as much haldi put on you as you like Akash. Enjoy yourself“. ASR was walking into Shantivan with Akash. Both brothers had been busy in office the whole day, but judging from the numerous times Akash had checked his watch on the drive back, ASR could guess well enough where his brother’s mind was. “err jee bhai“, Akash might have said more, but right then his eyes fell on Payal and further speech was impossible. Which was actually quite alright because his bhai was equally mesmerized by the enchantress in front of him. Khushi was in a lemon yellow cotton saree, with a thin silver jari border going all over. Her saree had been pulled above till her knees exposing her feet and legs. Her silver payals shone from across the room at him, bewitching him. He could not stop himself from following the smear of haldi as it ran from her ankles uptill her knees. She had not noticed him enter it seemed, because her gaze was lowered. Then again, she might know he was watching her because she was fiddling with her hands. Her arms.. Milky white expanse. Dainty, with matching smears of haldi. He slowly moved his gaze to her face. Two streaks of haldi on both cheeks, but they were not hiding the blush that was spreading. He noticed she was wearing no other jewellery, except her payal. Not even her earrings or bangles. She ..
“tum aa gaye Akaas bitwa.. Aao baiitho.. Bhe habhingj haldi bhitout main partiej. Tum dono bhai toh aafice ke liye nikal gaye. So bhe callinj Gupta familiej eeha. Hum khoon bhari tang aur phatee saree par hi haldi lagai diye hai. Ab you comej and issit eeha” , mami called out in excitement breaking ASR’s trance. “oo ka hai na ki boyij isside haldi ke liye two impartant thingj howat hai. Ek haldi.. Mera matlab turmeric. And issecond boyij. Matlab youj“. Mamiji happily continued. ASR walked away quickly to his room. Swallowing hard. If diwali had been bad this was plain torture. He flung open the french windows, the cold air would help clear his head. No. not working. A breathless OP entered clearly having sprinted to ASR’s room. “jab neeche sab ho jaye ask Khushi to come to my room“, ASR instructed, loosening his silk mauve tie. Arnavji had called her to his room, Om Prakashji had wisely told her as fast as he could get her attention without attracting others. After a few minutes she had also received a call from him which she had resolutely ignored. Hmpp.. He thought he could walk in whenever and talk when he wants to and not talk when he wants to.. She would not go. Mamiji had covered her son with haldi to her hearts content. And buaji had insisted on putting some haldi as shagun on nanheji as well. Poor nanheji had looked highly alarmed and trapped. Then mamiji had realised a blob of haldi had somehow landed on her much too expensive benarasi kanjiwaram. That had taken up some time and provided lots of excitement as the cleaning drive had commenced. The saree was quite runined, but mamiji’s temper had been restroed when naniji had suggested she would buy her daughter-in-law a new saree. Now the ladies were being served tea and piping hot samosas by Om Prakashji. There were the regular potato filled big sized samosas. Also small size special samosas that had a filling of spicy peas. Khushi picked up one small one and bit into it. It almost burnt her tongue, it was so good that she gobbled it up swiftly. She hopefully looked around for any signs of jilebi. That would have made the meal perfect. She sighed. No jilebis. Might as well try to focus on the conversation. “ha buaji put the silver jari border heself on our sarees naniji“. “bahutehi sundar hai bitiya“, nani replied fondly. Khushi didn’t know nani had noticed her preoccupation with her phone. Nani had also noticed ASR come multiple times to the top of the stairs and wait for something. “bitiya kitni der humare chote ko satane ka irada hai aapka?“, she asked gently, an infectious smile on her face. Khushi spluttered. “naniji wo.. hum..“, shy that she had been caught. “Achcha jayiye Khushi bhabhi keep this haldi thal“, di interjected laughing. “nani aap bhi na. don’t tease Khushi bhabhi“. Khushi got up thankful of the distraction and walked towards the mandir. After keeping the plate she would then go and wash off the haldi. That laad governor hadn’t even come down for haldi and di had said everyone was too afraid to call him down. “Why are you ignoring me dammit?“, he grasped her arm and pulled her into his room. He was angry. “what the. don’t talk to me like that“, this is not how he had planned their meeting would go. “you didn’t come for haldi“, she complained. “why didn’t you say you wanted me there?“, he asked, still angry that she had managed to dodge him for so long. “aapne subah meri taraf dekh ke smile bhi nai ki. bas aaye. kuch baat ki aur chale gaye“. “You know I don’t smile khushi“. This girl was maddening at times. Strike that out. Maddening all the time. “Jhooth mat boliye. You do smile. Humne dekha hai. And when that lip slants upwards funny things happen to my stomach and I can hear dhak dhak and then sometimes you call me darling and..“, she was angry and shouting. He was smiling by then. There it was. A smile. Definite upward drag of his lip. Well, actually it was a smirk, he might someday explain the difference to her and make sure he knew exactly which one she liked more. “and“, he brushed his thumb over her pouting full lips. A slow seductive touch, his eyes sparkling with wicked temptation. He stood still. Completely not expecting her to .. He gulped.. Kiss him..
She had leaned forward quickly placing her lips on his. Soft and eager. She flung her arm with enthusiasm, standing on tip toe and kissed him hard. Gaining confidence she even daringly nipped at his lower lip. Then as he stirred, his eyes opening a little dazed, she moved back and smiled. His heart filled with wonder. “Arnavji you need some haldi too“. Saying that she tip toed upwards and angling her face brushed her cheek against his. His skin was on fire. She remained against him. He could feel her aroused heartbeat close to his. She must have decided they could sort out the fight later, because a second later she raced out of the room, looking extremely happy with herself. I love this version of haldi..